Different children and toddlers develop at their own pace. Likewise, no one strategy is perfect for every toddler. What I can do is to share with you the strategies I’ve used in preparing my toddler to learn reading. Actually, before I started, I didn’t come up with a set of strategies to follow. These toddler pre reading tips are formed upon hindsight. I didn’t have the foresight to create them when I first had the notion that I would like to use early learning with my child. In fact, I didn’t really read up and hardly do any research on the ways I could prepare my son to learn reading when I decided to teach him to read at home. Before we embarked on our chosen step-by-step reading program, there were several pre-reading activities that I’ve unintentionally engaged my son in since he was a baby. I believe these pre-reading activities eventually helped him to build the foundation to his future reading ability. All these strategies could be seen as part of a long process and not everything was done all at once. One strategy could be implemented for months before the next one was added, and some are a constant such as reading to your kid. Most of these are done through his normal daily informal play routines. I didn’t set specific time or days to roll out these strategies. Instead, I utilized “teachable moments”, which would appear more like play to my son. I usually let him choose what he would like to play with, and it if involved learning the alphabet or phonics, that’s great. Otherwise, there’s always other toys to play with. 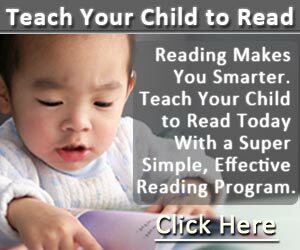 I have since started to teach him reading when he turned 2 years and 3 months old, and his progress so far has been going very well, and I believe his pre-reading activities have been a contributing factor. I started reading aloud to him when he was a baby. It wasn’t before bedtime. I randomly read to him during the day. It wasn’t a consistent thing. But books are always placed among his playthings. When he was older about two years old, he would start taking books for me to read to him. Sometimes, it’s the same book read again and again. This stage lasted a few months. Then when he was about 2 years and 3 months old, he stopped asking me to read everyday. Instead, he would pick out a book, sat quietly and scrutinize the pages by himself. He’s into looking at the pictures and sometimes he would ask me to explain something or he would point out something that he can recognize and name them. Till now, he still does that and he is making more and more sense out of the pictures in his books. Being able to decode words and reading them is a different thing from reading comprehension. A child could masterfully decode words and read them, but that doesn’t equate to him understanding what he is reading about. So to help my son along with his reading comprehension, I would try to ask questions when reading the story. For example, he has a book, Big Red Barn by Margaret Wise Brown. It’s a classic barnyard story following the animals’ day on the farm. So I would read a page, and ask my son to point out the animals I’ve just mentioned. On pages where many of the animals gathered, I would ask him to identify the animals. Little questions like these would set the child thinking about the story being read, and helping him to see connections between what was read and what was being asked. These would help him to improve his understanding of the story being read. I’ve probably sung the ABC song hundreds of times to my child since he was an infant and for many months afterwards. It’s one of the few kids songs that I knew by heart and I just kept repeating it over and over again to him. I treated it more like a lullaby to soothe him. But later, I felt that it could help him in learning in alphabet. There were a few other learning activities that helped him learned his alphabet progressively and easily, and you can read more of it under pre-reading activities. When my son was one year old, I also let him watch some Phonics videos from YouTube on my smartphone. These videos introduce individual letter sounds. At that time, I just thought I wanted to show him videos that had more educational content through songs.Unknowingly, these Phonics songs were helping him to develop Phonemic Awareness (PA) skill, the ability to identify letter sounds. One of my friends also bought him a phonics toy when he was six months old. He was too young to play it by himself back then, so I played it for him to listen to letter names and letter sounds. Later when he’s old enough to handle the toy, he would keep playing it over and over again. Thereby reinforcing his letter sounds recognition. 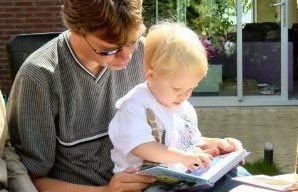 When he was about 17 months old, I was given the advice by the author of the second reading program I’ve mentioned above to help my son develop his PA skill. It was a relief to me that I could continue to let my child play informally and continue to let him practice his PA skill by playing with his phonic toys. I didn’t have to hurry to teach him reading till he’s older, about 2.5 months as recommended by the author of the reading program. 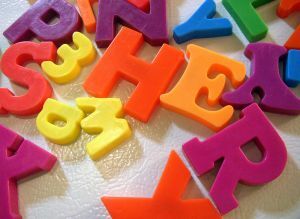 I don’t know why, but my son was and still is fascinated by the letters. His colorful wooden magnetic letters, plastic magnetic letters, letter blocks, and recently foam letters are among his favorite toys. Somehow, he was naturally drawn to learning his alphabet. Everyday, he would play with him even though he has other toys. He never gets tired of arranging, messing up, and rearranging his letters in the alphabetical order. It’s was shortly after his 2nd birthday that I realized he has mastered the sequence of the 26 letters. He could only pronounce several of the letters then. By 2 years and 2 months old, he was able to pronounce most of the phonemes (smallest units of letter sounds) when I quizzed him through play. Now that he’s 2 years and 8 months old, he’s singing the ABC song everyday, and singing it louder and louder. It’s his number one song. I’m not sure it’s entirely a good thing that he’s captivated with the alphabet and numbers, but I’m certainly glad it’s him who taken by these and so learned them naturally. It’s like play to him. 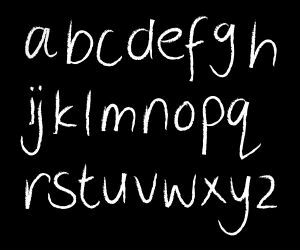 These are some of the methods that have helped my son tremendously in learning his alphabet, developing his PA skills, and taking an interest in books. With these in place, I find it easier to ease him into his reading program when we started it when he was about 2 years and 3 months old. What reading strategies did you use with your toddler? Is it one particular method or a combination of methods as in my son’s case? I’d love to learn about your experiences!